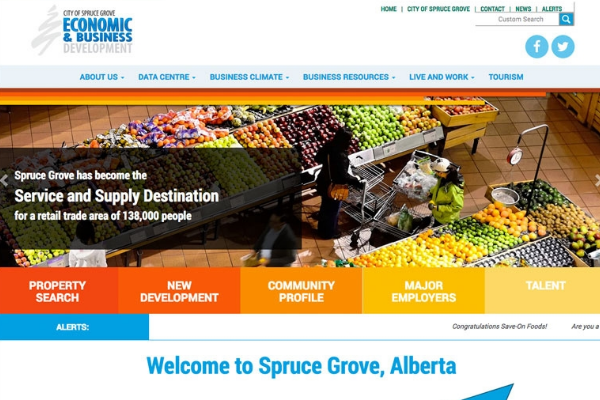 City of Spruce Grove, AB – The City of Spruce Grove just launched a new website to promote its economic development efforts. The site will serve as a valuable resource for both existing businesses and potential investors. Spruce Grove is one of Alberta’s fastest growing cities. 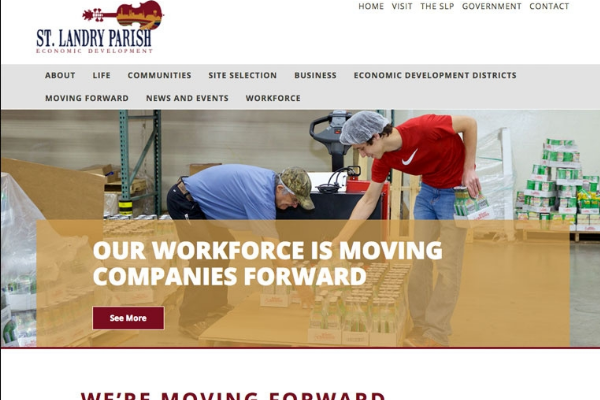 The website was created as part of the City’s economic development strategy and action plan with the goal to create a comprehensive online portal for existing companies and potential investors. 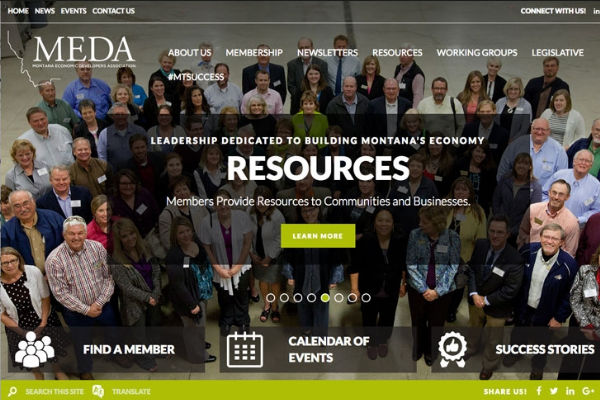 “The new website adds an important level of functionality to our efforts. It will allow potential investors to seamlessly access relevant, concise information to support their investment decisions,” said Karla Gould, the city’s industrial economic development specialist. 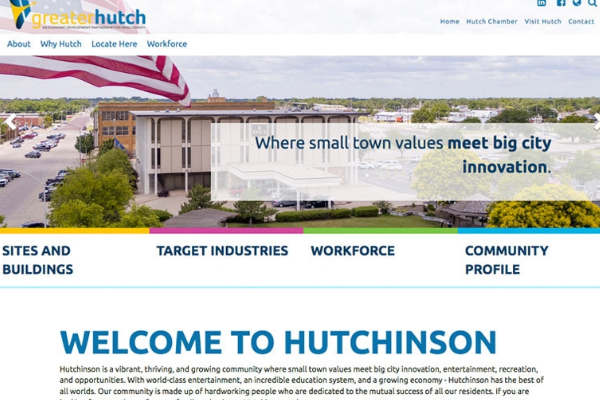 The user friendly website has an array of details about investment opportunities and target industries as well as the area’s workforce and quality of life. It features powerful Zoom Prospector and GIS Planning tools that allow for auto population of area demographics and community profile data. It also aims to communicate the role the Economic Development Department plays in the vitality and sustainability of the city, though its various projects and partnerships. The City of Spruce Grove selected Golden Shovel Agency to create the website. The national economic development communications firm is recognized for its award-winning design and expertise in business and workforce attraction. “Since Golden Shovel specializes in working with communities focused on economic development, they were a great partner for this project. We appreciated their professionalism and depth of expertise,” noted Gould. The City of Spruce Grove’s Economic Development Department exists to support area business growth. 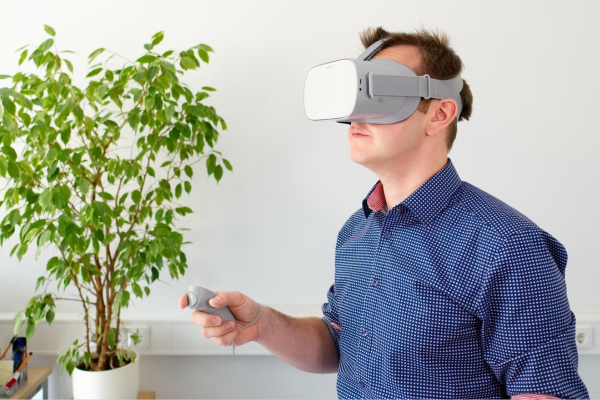 It helps entrepreneurs leverage opportunities by connecting them with the right resources, providing outreach to companies looking to relocate or expand and promoting commercial and industrial sites. It also advocates in government for businesses and job-creators.